What if you could run 2% to 4% faster without any additional training for longer races such as a marathon? 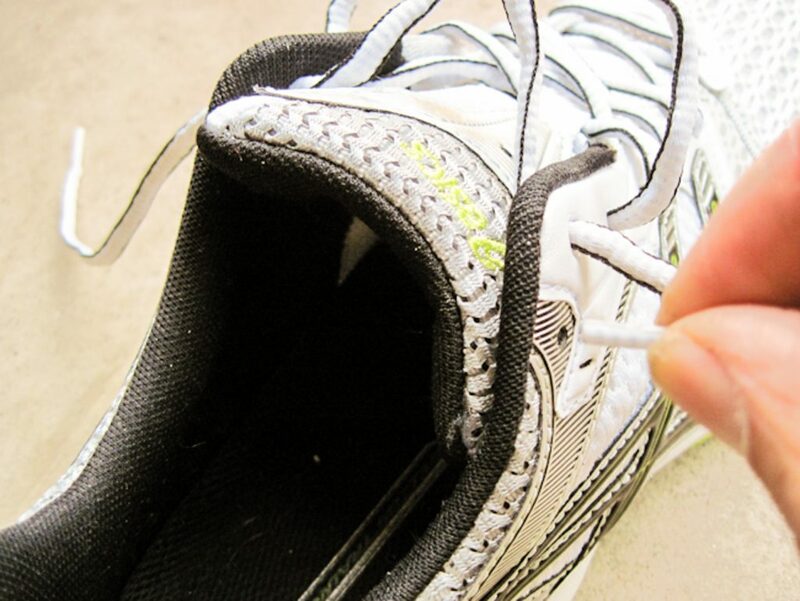 Just a simple change to how you tie your running shoes will make your workouts more comfortable and at the same time help improve your efficiency. 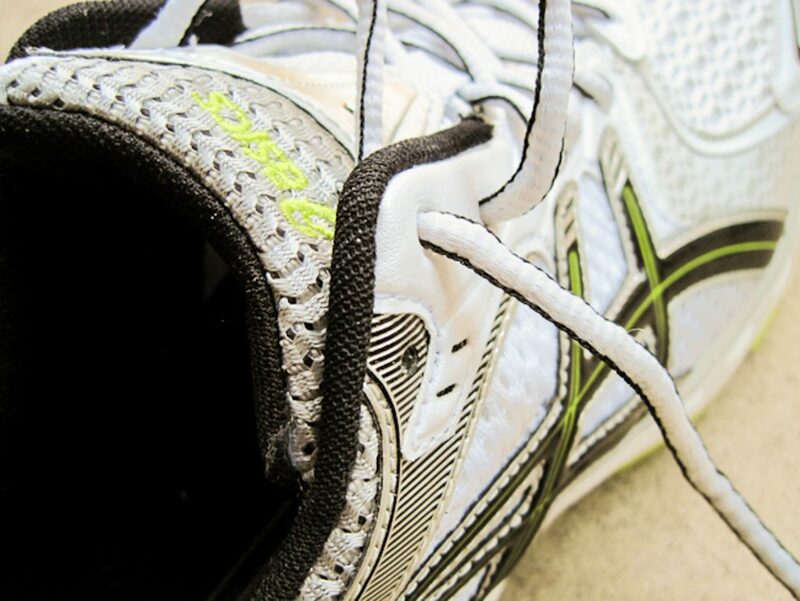 Most people tie their running shoes the same way they were taught to tie regular shoes as a child. However, tying your running shoes the same as street shoes leads to early fatigue, thereby adversely affecting your time. The usual method of tying shoes partially restricts blood flow. To illustrate the point, take a look at the back of your hand. You may be able to see the blue veins. Those are the veins that carry de-oxygenated blood from your hands, back to your lungs for a fresh supply of oxygen. Your feet work the same way. Common practice is to tie the shoe nice and tight, so it won’t slip around. Unfortunately, this puts pressure on top of the foot which in turn is the cause of the restricted blood flow. Our goal is to keep the foot snug and at the same time keep blood flowing smoothly. So, how do you properly tie your shoes? You have to use the “extra” hole. 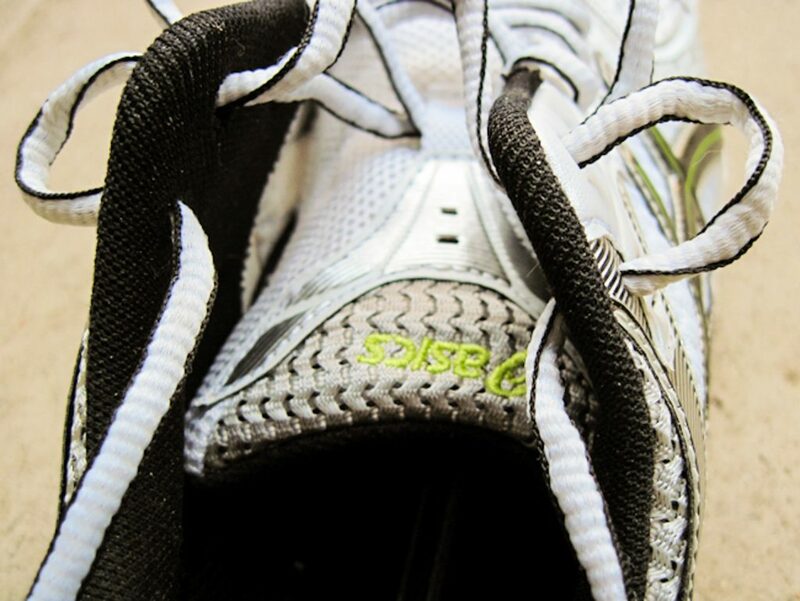 Many running shoes have an extra hole usually found behind and underneath the last hole. Seemingly, this looks like a useless place to put a hole; however, its purpose is to take pressure off the top of your foot. Another benefit to tying your shoes correctly is that your feet will feel more comfortable. The shoe will feel snug, without the tightness. The illustrations below demonstrate a step-by-step method for tying shoes. Thread the laces normally up to the last hole in line with the others. Take the right lace and go down through the lower hole. Create a loop about the size of your finger. Cross the lace from one side to the other and insert in the loop. Pull straight up and strong on the laces. Then just tie your shoes in the normal manner. Avoid tying the over-hand knot too tight. Notice how the pressure is now wrapping around the foot. This will take pressure off the top of the foot. 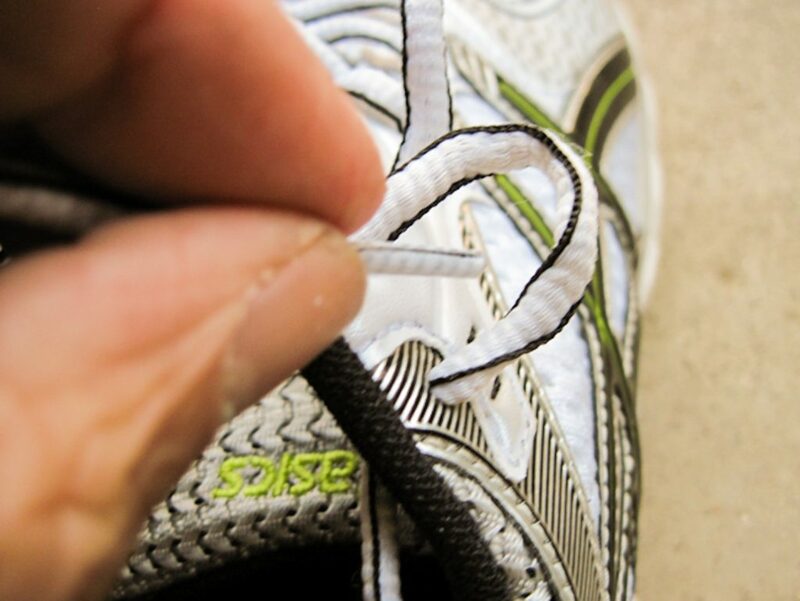 Many manufacturers no longer make laces long enough to tie shoes in this manner. 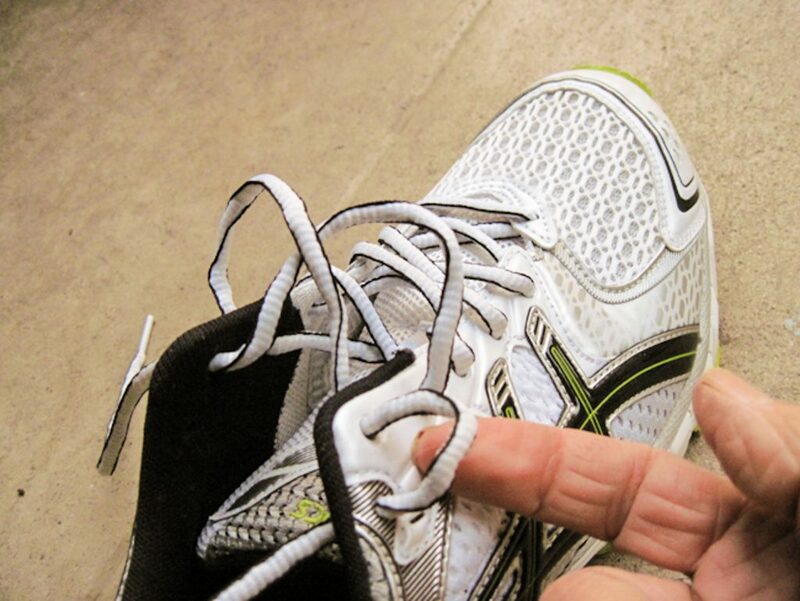 So if the lace is too short, don’t overcompensate by tying the shoe lace too tight. 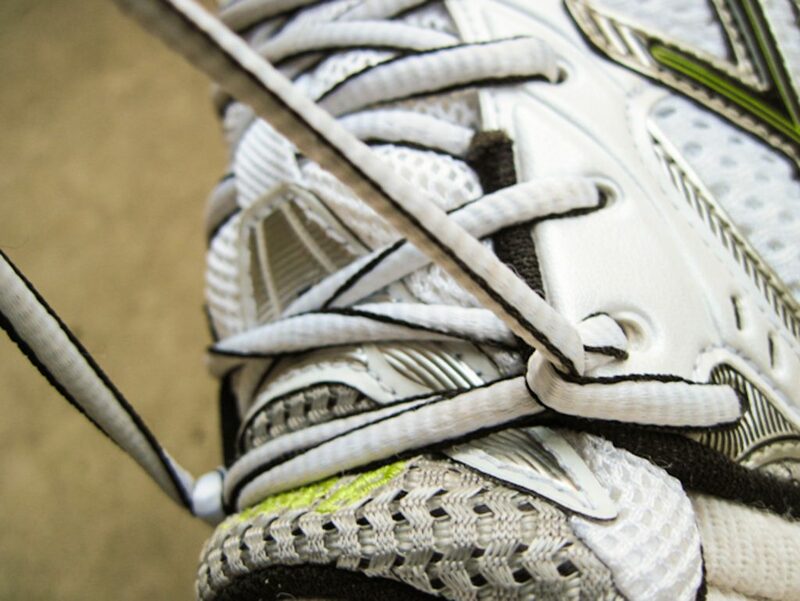 Find longer laces. 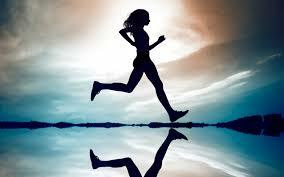 Remember, the trick to generating speed is to find all the shortcuts to conserve your energy. Follow this Link to find other useful tips to knock 10% or more off your time. Coach Mike Blog 2019. All Rights Reserved.